A web designer by trade, Kevin Plew is an avid fan of technology and takes pride in the ability to do everything himself. 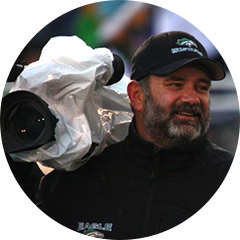 As webmaster for Eagle Mustang Football Boosters, an organization that raises more than $160,000 each year for the high school football program, Plew, and his vast knowledge of technology, is instrumental to the organization’s success. As a tech-savvy individual, Plew has spent the last 18 years doing things his way, using Wordpress to create the Eagle Mustang Football website and PayPal to register athletes and process payments. But, after all this time, Plew is ready to retire from his volunteer role and needs to find a user-friendly sports technology platform that will be easy for future volunteers to operate. Eagle Mustang Football worked with SportsEngine to replace Wordpress and PayPal as the club’s technology partner, providing the club with a unique website, custom registration, and powerful communications tools — all on one platform. Plew knew there had to be a better way, and he found it with SportsEngine. SportsEngine reduces our registration, data management, and rostering time by 75% every season.